While using translation workbench to override managed installed custom field label in a subscriber org, the master field label is changed to same. 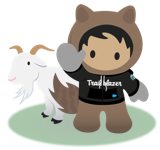 While creating a Master Detail Relationship with a custom object of Unlocked Package in subscriber Org its giving an error : Error : You cannot add master-detail relationship to a managed custom object. Record Type Associated values in Permission Sets are not set during package install. After unlocked package installation the Record Type Association is not set as per settings in permissionset-meta.xml metadata file. Not able to Upgrade Flow in unlocked packages, upgraded version of Flow not getting installed.